Get Vintage Style Magazine Here! 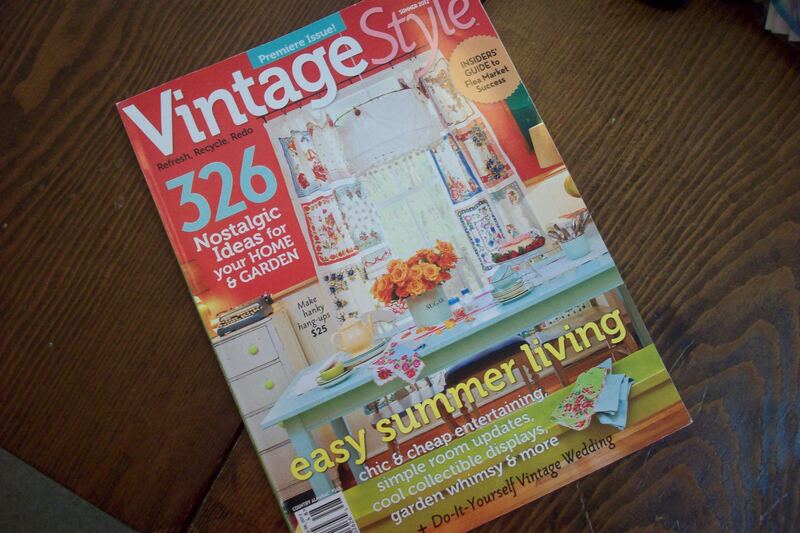 Get the premier issue of Vintage Style Magazine here at Finders Keepers Antique Mall! This issue features articles on easy summer living, and insiders’ guide to flea market success, 326 nostalgic ideas for your home and garden and is filled with beautiful photos and ideas. This entry was posted in Antique Tips, Books, Flea Markets, New Inventory!, Uncategorized and tagged Finders Keepers Antique Mall, Flea Market Success, Home and Garden, Magazine, Vintage decorating ideas, Vintage Style Magazine by fkantiques. Bookmark the permalink.